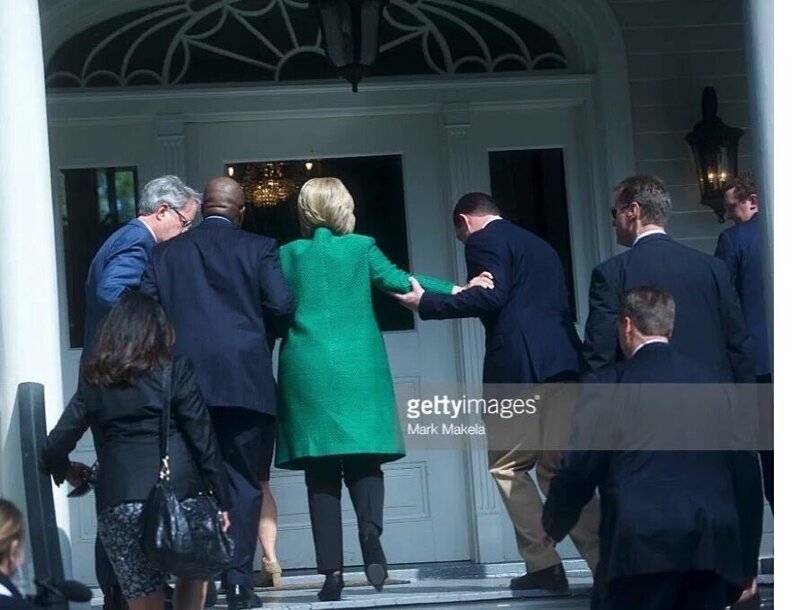 Is Hillary Having Small Strokes or Seizures: Could it be Brain Damage from her 2012 fall? As Hillary’s campaign heats up, we’ve seen Hillary Clinton engage in some bizarre behavior. From coughing fits and bouts of rage to uncontrollable laughter and overreaction to external stimuli, Paul Joseph Watson investigates what may be behind her odd demeanor. Is it post-concussion syndrome following a blow to the head in 2012? Is she having seizures? What is the lesion spotted on her tongue? Or is she just a sociopath totally lacking emotional literacy? While some pundits call Hillary Clinton arrogant and narcissistic for having the temerity while secretary of state to set up a private email account, delete 30,000 “personal” emails and then ask that everyone just “trust” her, I say her actions are a slap in the face of all Americans. With Mrs. Clinton’s decades long track record of scandal making her one of the least trustworthy persons in the world, how insulting is her request for our faith? I have a theory about Mrs. Clinton’s severe lack of judgment in thinking that she can get away with this State Department violation of protocol that would get any other employee fired. In what I consider to be the best-kept secret inside the Beltway, in December 2012 Clinton fell and suffered a concussion, after which she quietly went off the radar for a month. Shortly thereafter she showed up in Congress to testify at the Benghazi hearings when she famously screeched, “What difference, at this point, does it make?” to a probing question. Given her irrational behavior and severe lack of judgment since her supposed concussion, I theorize that she may in fact have suffered a stroke and subsequent neurological damage. Moreover, she’s tripping up all over the place trying to explain away her latest breach of public trust by saying the private emails were to her husband — even after Bill Clinton said he doesn’t use email. I know this woman has proven herself to be a world-class liar, but I honestly believe that this brain-damage charge suffered from her December 2012 phantom stroke needs to be revisited. It makes as much sense as any other plausible explanation. Hillary Clinton's latest health update -- cerebral venous thrombosis-- is a rare and potentially "life-threatening" condition, according to medical experts, but one from which the globe-trotting secretary of state is likely to recover from.